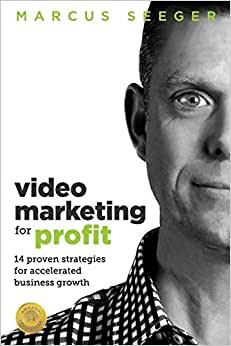 Hello, my name is Marcus Seeger and I am a Video Profit Strategist, owner of Video Profit Formula and Video Experts and author of the Amazon #1 Best Seller "Video Marketing for Profit - 14 Proven strategies for Accelerated Business Growth". I am truly excited to be sharing with you industry insider knowledge and insights that I have personally learnt on the amazing topic of Video Marketing for Profit. Did you know that 51.9% of marketing professionals worldwide name video as the medium with the best Return on Investment (ROI)? [source: copypress.com] In other words, just over half of all marketers surveyed believe that for every dollar spent on video, the returns outweigh all other forms of marketing. ROI on video is out performing other forms of marketing such as print advertising, public speaking, photography, printed books and e-books. Video is the New Black There is no doubt that video is effective. Video is also rapidly growing in popularity as we see more opportunities develop with social media. It appears to me that video marketing is coming of age. Video Marketing is The New Black. About Marcus Seeger I first discovered the power of video in 2003 when I was studying multimedia design at Swinburne University in Melbourne, Australia. I have now been in the video industry for over a decade and have been behind the camera for 1000's of hours. I have personally seen what works and what does not work when it comes to clearly communicating in front of the camera. Right now is a very exciting time in the world of both video and video marketing. Video production is in the middle of the next technological advance with 4K cameras' and Ultra High Definition. The video marketing industry is maturing and new online and social media opportunities are quickly developing. I am certainly very much looking forward to the next few years to see how everything develops! By leveraging the power of video, I work with entrepreneurs, business owners and medium to large businesses to clearly communicate their message so they are seen as credible authorities and experts in their niche whilst at the same time providing remarkable customer value. I'm absolutely passionate about leveraging video so business' can clearly connect with their audiences, both externally (customers) and internally (staff) and increase profits. Online Video Online video is the fastest growing marketing tool on the planet. It is creating a dynamic element to business marketing strategies, both local and online. By harnessing the power of video you can achieve accelerated business growth. I draw upon my real world experience to bring you the very latest video strategies. 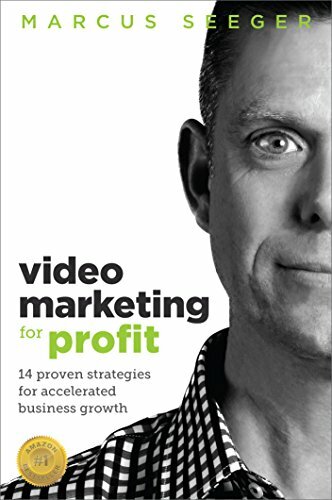 You will learn 14 highly effective video strategies for small to medium business owners. Strategies include attracting and converting profitable leads, leveraging video with social media and becoming an authority in your field plus so much more. Bonus Video Training And there is more! I have included bonus video training as part of the book as well! This is a must read for all entrepreneurs who are committed to rapidly growing their business and positioning themselves in another league to their competition. Start reading Video Marketing for Profit on your Kindle in under a minute.